Pineapple is a good source of bromelain; manganese; fiber; copper; and vitamins B1, B6 and C. While some of these nutrients are lost when juicing pineapple, most notably the fiber content, pineapple juice is still a healthy, delicious beverage that offers anti-inflammatory, digestive and immune benefits, according to the World's Healthiest Foods. By saving and extracting juice from the skin and core of pineapple, you can increase the nutritional content of your juice. 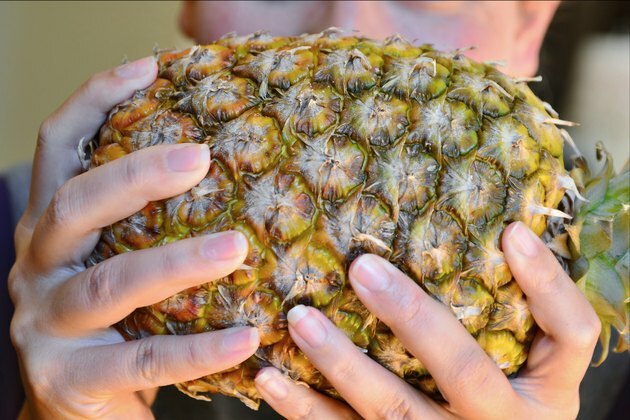 Check the pineapple for ripeness before juicing it by smelling it and squeezing it. A ripe pineapple is heavy, somewhat soft and sweet smelling. 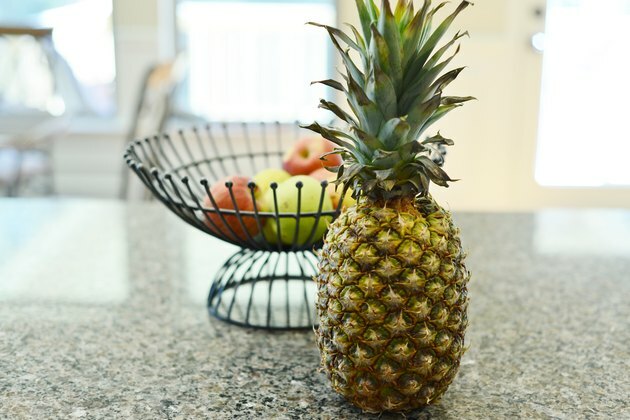 Place the pineapple on a clean, stable counter or table and remove the crown and base of the pineapple with a sharp knife. 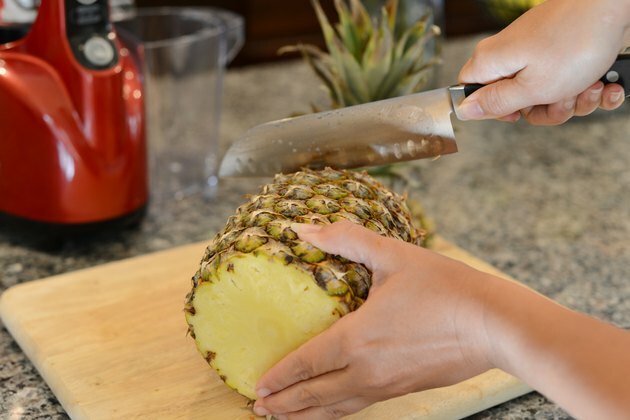 Be careful not to cut yourself, as pineapples are difficult to hold still when preparing. 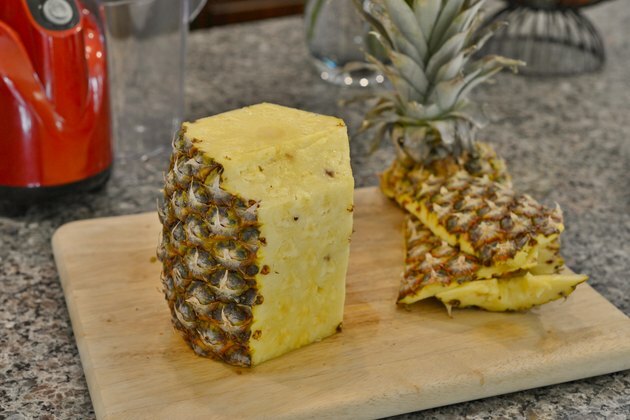 Peel the pineapple by slowly slicing the rind away from the pulp with a knife. Use the tip of the knife to remove any eyes. Set the skin aside if you intend to extract juice from it. If you do not, throw it away. 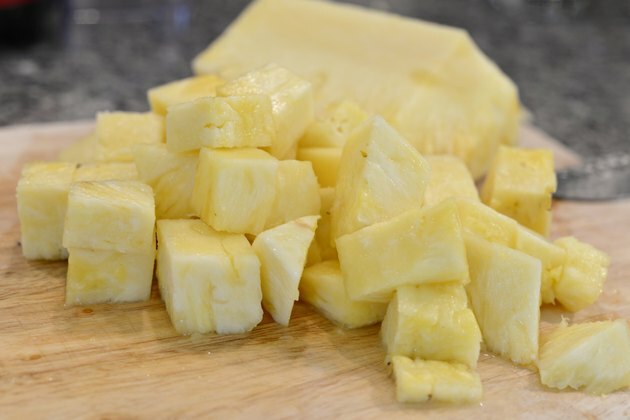 Use a knife or large spoon to remove the core of the pineapple, and then cut the pineapple into chunks small enough to fit into the intake chute on your juicer. If the core is soft enough, you can add it to your juicer. If the core is hard, discard it to prevent damaging your equipment. 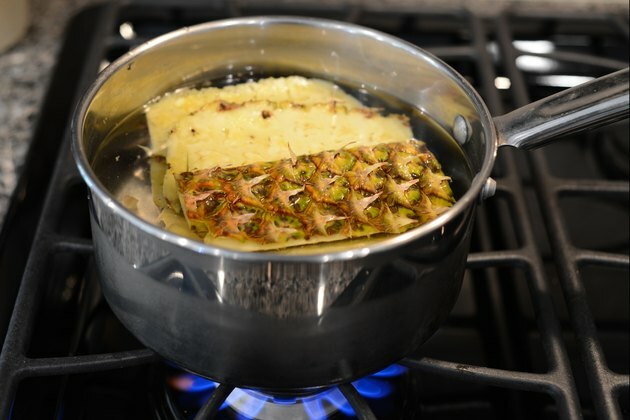 Boil the pineapple skin to extract its juice and nutrients. Because the skin is too tough to juice in a conventional way, you must bring it to a boil, steep it for 24 hours and then strain the juice. Doing this allows you to benefit from the high vitamin C and bromelain content of the skin, according to Happy Juicer. 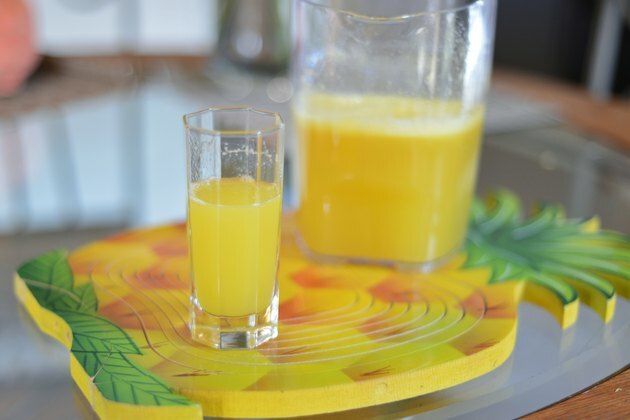 Drink pineapple juice immediately after juicing or store it in the refrigerator for up to five days. Purdue University recommends using pineapple juice within 20 hours because it deteriorates quickly. Clean your juicer promptly after use to prevent the growth of bacteria and mold.